Most of us know that drinking is a staple of Irish culture, and the world has known Ireland as a place of pubs with hard-working, happy, hard-drinking folk. The month of March and St. Patrick's Day may have you thinking of other Irish symbols including the color green, the shamrock, the leprechaun, St. Patrick, Guinness, Irish whiskey or even Irish coffee. This weekend gives the entire world a chance to share in the Irish fun in honor of the holiday. Although you will not find any green tinted beer served here at the Uptown, we would like to participate in some of these traditions and have created some new drink specials we are sure you'll enjoy. Come out this Saturday as downtown LaSalle hosts it annual parade or on Monday, St. Patrick's Day, as we serve up a great selection of Irish beers, whiskeys and themed cocktails. Not in the mood for whiskey or Irish beer? How about a cup of Irish coffee... but wait it has... whiskey? Our bartenders are mixing together some interesting cocktails with some of the finest whiskey in the world. The Irish coffee is to Ireland as apple pie is to America. 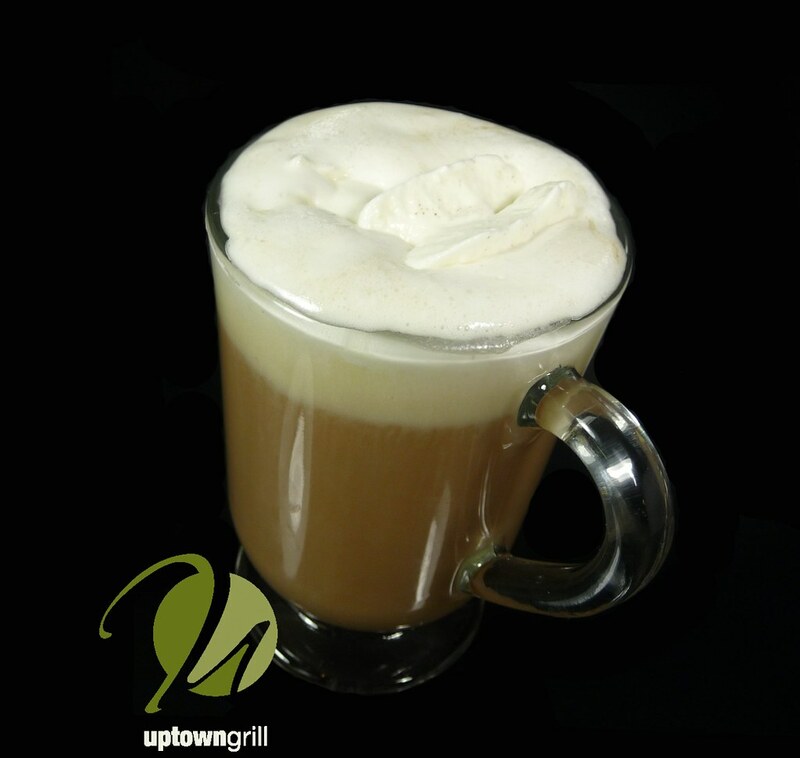 We offer this traditional beverage with the finest Irish whiskey, our house blend coffee and hand whipped cream. Just like in Ireland. Irish whiskey was introduced in the 1400s, though the first Irish pubs date back to late 12th century. Although there are only 7 current distilleries in operation, Irish whiskey was at one point the most popular and fastest growing spirit. With Scotland sustaining over 100 distilleries, Old Bushmill of Ireland is the oldest licensed distillery in the world. Others such as New Midleton, which produces Jameson, or the newer Tullamore Dew also make excellent spirits. I recently came across a short video ad produced by Tullamore Dew called "The Parting Glass" that depicts what seems like a toast to a close friend who has passed on. In true Irish tradition, it includes a journey to make that toast in a man's honor with a glass of whiskey. In the end, we find the true meaning of the toast. I'm sure we all can relate. Here are a couple more Irish toasts. Give them a try over a tall glass of Uptown as you celebrate this weekend!